I hope you all had a nice weekend, it was a bit wet and miserable wasn't it?! Well luckily this doesn't stop me doing a beauty review from the comfort of my bedroom and today it's a really positive one! A little while ago I got speaking to the lovely Becky from In The Buff Makeup and I was lucky enough to be sent one of their eyeshadows to have a try for myself. All of the products on the site are 100% pure mineral, 100% natural and vegan friendly and you can choose from brushes, eyeshadows, foundations, blushers and bronzers. So quite a big selection! The eyeshadow shade that I chose is called Dark Skies and it is from the sparkle range, here is what I thought! First of all the packaging is really cute,the eyeshadow pot comes in this little cardboard box with a white satin bow. You get 1g of product for £13.50 and the little pot has a sifter to make sure you don't waste any. The powder is so pigmented you really don't need to use a lot at all. Here are my swatches, done dry with 1 dip in the pot (you can also apply it wet). I've tried to capture the swatches in different lights to give an idea of the dimension, the pigment is a dark black with the most gorgeous gold glitter running through it. The product is finely milled and the glitter isn't at all chunky meaning I had very little fallout in application. For optimum results you can apply over an eyeshadow base, I'd recommend Mac's shadestick in Sharkskin, or also wet using a damp brush and pressing it on your eyelid. I have to say that I'm loving this product so much so far and have applied it in 3 different ways when I was experimenting around. Firstly I used it as an all over main colour for a smoky eye, secondly as a crease colour with an antique gold as the main shadow and thirdly I applied it with an angled brush on top of plain black kohl eyeliner to make it last longer and add a bit of sparkle and I blended it out a bit for a grungey look. Let me know if you would like to see pictures of each look in a follow up post! 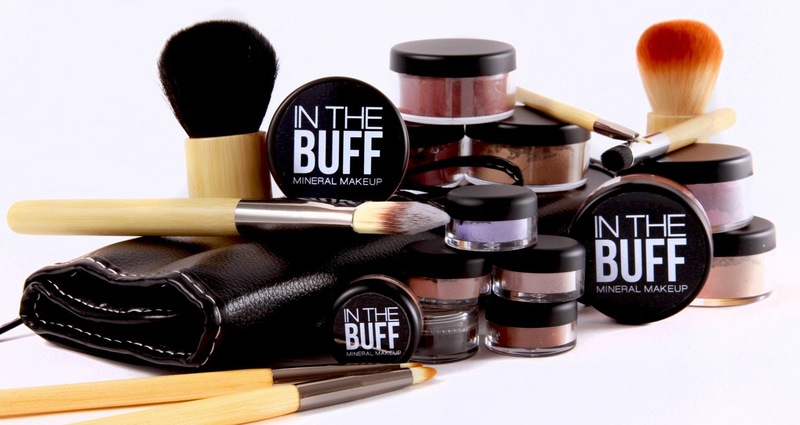 If you would like to check out the range then head over to www.inthebuffmakeup.co.uk for a browse and let me know what you think/your favourite shades in the comments below. the color of the pigment looks stunning too. Ooh, def gonna look into this brand! Packaging reminds me of Maybelline.